It seems like small knives get respect equivalent to their size, very little. Most people wouldn't look at a subcompact lightweight car and think "high-performance vehicle". That first estimation could change when it's revealed that clown car is disproportionately packing 350 horsepower and a high-speed racing package. Another example of stature not accurately representing ability is a Spyderco Dragonfly. Its cutting ability is unequal to its diminutive package and innocuous name. 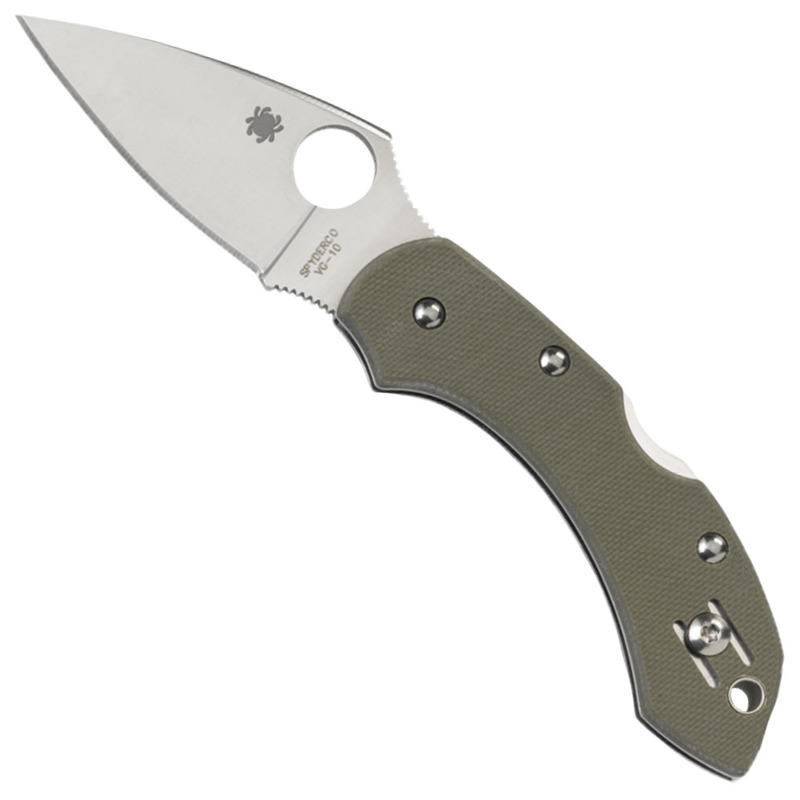 It kicks off with premium components like VG-10 blade steel and a G-10 foliage green handle. The VG-10 is tooled into a full flat-grind 2-1/4" long blade with a spine cusp jutting out the top where the thumb naturally settles itself for control over the cutting edge. The G-10 handle is ergonomically blueprinted so when held and used the knife feels and performs like a larger tool. 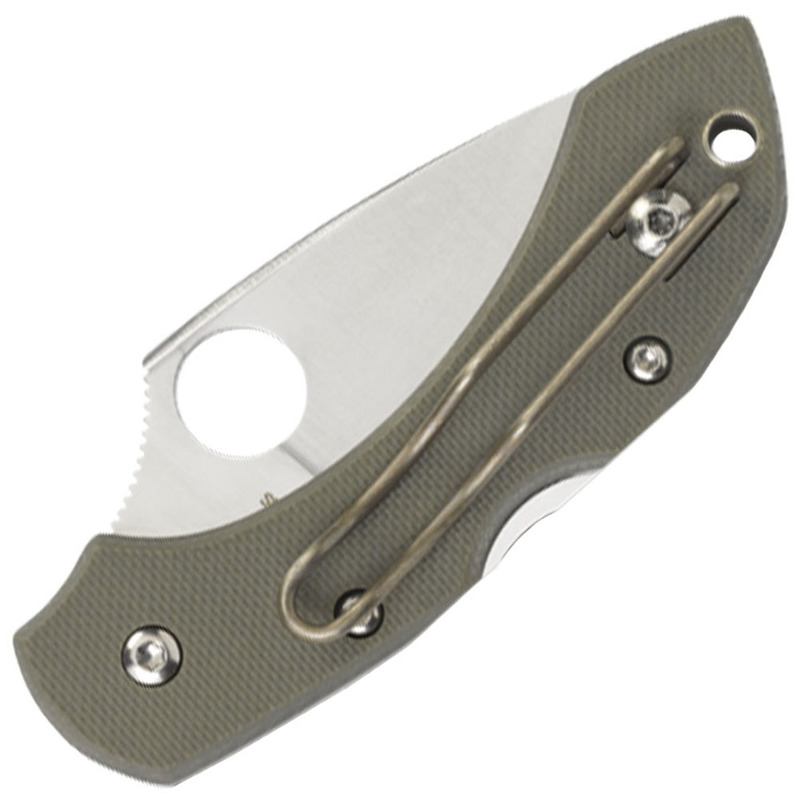 Even the positioning of the Spyderco Round Opening Hole in relation to the pivot is tweaked for smooth opening and hitting all the correct pressure points in the hand. Blade and handle geometry create a series of grip angles with a purposeful flat shelf at the base where the pinkie finger rides as a leverage point. Wire clip carries right or left-handed tip-up or use it as a money clip.